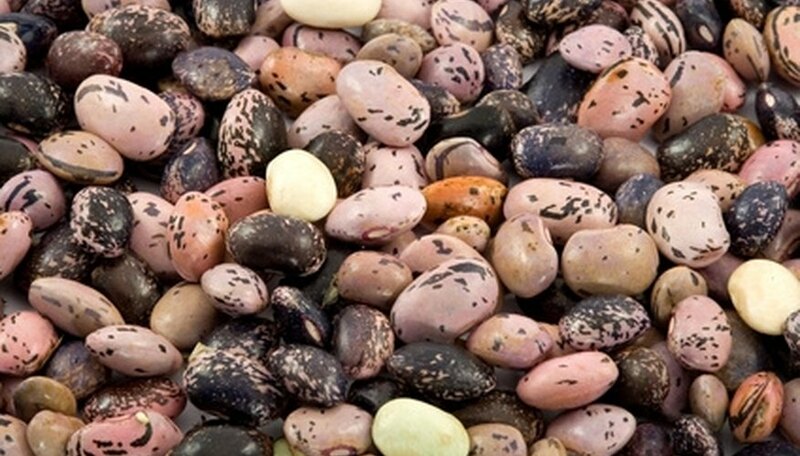 For many gardeners, winter means they can no longer enjoy garden fresh beans. But thanks to hydroponics--the growing of plants in a nutrient solution rather than soil--weather doesn't have to be a limiting factor. You can grow beans and other vegetable indoors year-round instead of resorting to store produce. With some seeds and a few supplies you can start a hydroponic garden and have fresh beans throughout the coldest winter. Fold the paper towel so it is slightly smaller than the length of the jar. Roll it into a circle and moisten it with water. Prepare a separate jar for each bean plant you want to grow. Place the paper towels into the glass jars with the bottom of the towels touching the bottom of the jars. Add a little water to the bottom of the jars. Place the beans into jars between the paper towels and the sides of the jar, not touching the bottoms. Check the jars daily and keep the paper towels moist. Add water if necessary. Within a week, the beans will begin to sprout. The first few days of germination can take place in the dark; after that period provide the light your specific kind of bean requires. Put the perelite or clay pebbles into the top portion of the hydroponic bucket, where the bean plants will grow. A hydroponic bucket, available at most nurseries, has multiple levels; the bottom level contains water and space for the roots to grow down. The top level, often a net, holds up the plants. You can grow up to two bean plants per bucket. Place the trellis in the middle of the clay pebbles, digging deeply so it will not come out easily. Plant your bean seedlings from the jar into the hydroponic bucket. Make sure the roots go deeply down into the clay pebbles, encouraging them to grow down toward the bucket's bottom. Spray the bean plants at least weekly with a nutrient solution, available at most nurseries. This will encourage growth and provide vital nutrients that plants normally would get from the soil. Water daily or every two to three days as needed. When the bean plants begins to grow, train them to go up the trellis instead of out to the sides. You may have to move the vines to the trellis until they grows that direction. You should have the first harvest within six to eight weeks.